The composition of the workplace is continually changing as new generations enter. For the first time in history, older generations are working later into their lives giving us five generations in the workforce. As workplaces and the people in it become more diverse, organizations and leaders must become more agile and respond appropriately to the evolving needs and wants of their employees – regardless of generation. On e challenge is time off. Employees take time off for a variety of very legitimate reasons, including vacations, bad weather, mental health days, sick kids, jury duty and military leave. Family and life demands, coupled with an increased recognition and appreciation for the availability of “personal time,” have led to more flexible work environments and new benefits like unlimited sick and vacation time. However, these policies often weave together varying degrees of entitlements and can therefore be complicated for employers to manage. Many organizations and leaders are now struggling to overcome absenteeism. We’re talking about when an employee displays an excessive amount of typically unexcused absences, or when an employee abuses generous absence programs, like unlimited sick time. If organizations aren’t properly tracking and adhering to time-off policies, compliance failure and organizational reputation are at stake. Organizations must do a better job of communicating and managing absenteeism before a few scenarios with a handful of employees creates a domino effect within the company or negatively impacts the business. Though research suggests that generational workforce gaps are narrowing, different age groups have varying, sometimes opposing, viewpoints on time-off. For example, traditionalists and Baby Boomers tend to have the mindset of, “The company pays me to be on time and work a full day.” Gen Xers might work around the clock, so they believe they “deserve” more freedom when they want it. Millennials and Gen Zers, however, strongly emphasize the need for work-life balance and may use their available time off (vacation or sick time, for example) to their full advantage. Employers must not only understand but address these differences, especially as it pertains to absenteeism. Increase in hours and overtime. For those employees who do show up, they must cover the absent employee’s work. 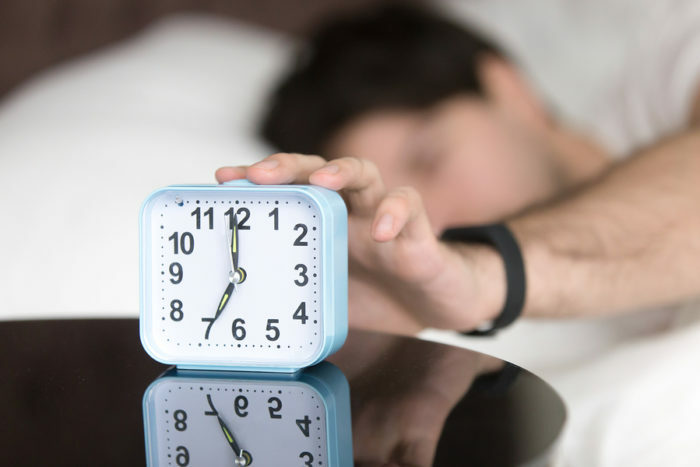 Oftentimes, this results in a significant increase in hours and the potential for overtime. Morale issues and employee disengagement. If employees are getting away with poor behavior, unexcused absences and chronic absenteeism, others will think they could get away with it as well – or become completely disengaged, a risk that could push them to leave the organization entirely. Resentment among employees. Resentment can grow when one workers shows up on time regularly while another comes in late every day, for example. This can lead to conflict in the workplace. The impact can reach from front-line employees up to the executive level. This should be a motivating factor for organizations to take measures now – or they’ll end up needing to impose damage control. Opportunities to address the issue of absenteeism are often overlooked because other issues tend to take priority. If it’s been 10, 15 or 20 years since an organization has reviewed and updated its absenteeism policy, it’s time to revisit it with an eye toward the potential generational divide. It’s imperative for organizations to better manage time and attendance. They must be able to track recorded absences in a workforce management system, as tracking occurrences will pinpoint problems and positive behaviors. By establishing patterns like tardiness and the habitual “long weekend” offenders – or even those who are putting in more hours than they should — organizations can identify those involved, estimate the potential impact and have meaningful conversations with these employees. The younger generations have grown up on a culture of self-service, so enabling self-service is especially important in the multi-generational workplace. This can go beyond time entry – allowing employees to interact directly with the workforce management system for time off requests, new schedules, availability changes, shift trading and more. These systems also allow administrators to send automatic warnings or notifications when needed. Taking charge of absenteeism reduces the need for intervention by supervisors, improves engagement, boosts employee morale, reduces costs and helps to increase productivity. Furthermore, these tools should be available to employees across all devices. Different generations have different expectations for workforce management access, spanning from telephone/IVR to web or mobile device access. Managers cannot settle for or ignore the silent workplace killer of absenteeism. Create a fair and flexible policy, communicate it clearly, and then make tracking occurrences an integrated part of the workforce management strategy. Tracking occurrences can lead to positive employee behavior and protect the organization’s earnings and output. Give employees ample access to their workforce management system so they can communicate their needs effectively across the organization, and then use that data to quickly identify and address potential issues before they affect morale – or the company’s bottom line. Kevin Currier is SVP and Chief Architect at SumTotal Systems, a Skillsoft Group Company. Since joining SumTotal in 2006, Kevin has held leadership positions including Chief Architect and Senior Director of Development. Prior to these roles, Kevin was Director of Development at MindSolve Technologies. Kevin earned his BSBA in Computer Science and his EMBA at The University of Florida.